I am still engaged with this series; you can read my review of #80 here. Being only the second issue I have read, I am becoming familiar with the characters’ names. Even with my paltry acquaintance I see evidence that the individuals are well refined, with distinctively singular dispositions. Traits congruous to attentive writers. Still, I do not concern myself with or lament the victims of this issue. The persevering have barricaded themselves in a compound with failing walls. One survivor was left outside and this weighs heavily on several of the populace. They formulate a recipe to rescue their companion, and draw the walkers away from the wall, so the others may attain liberation from their present purgatorial citadel. I find this comic compiled as a soap-opera would be. Each page or two a dialogue allocated to a specific character; the next for another character. It has that entice and cut rhythm. There are a lot of people and a lot of elements to comprehend. I empathize with the writer’s struggle to incorporate everything into the allotted pages, and bring together the denouement. 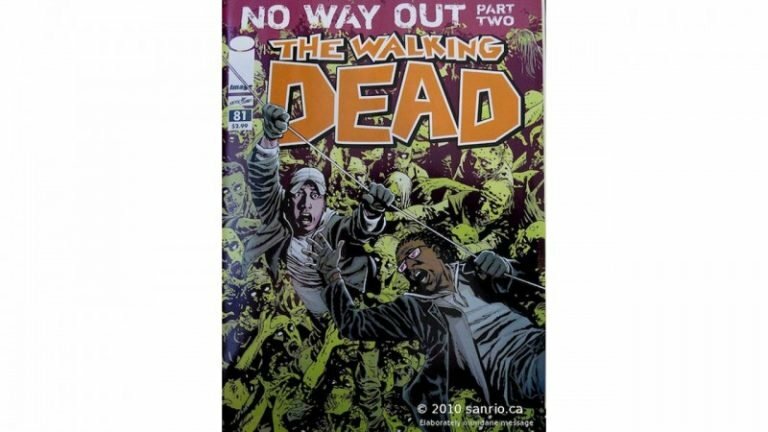 This comic is real life; no super-heros, just an undigested, sullied sentience in a zombie apocalypse. There are highs and lows, action and drama. A premonition of how ordinary people would cope if the dead were walking. 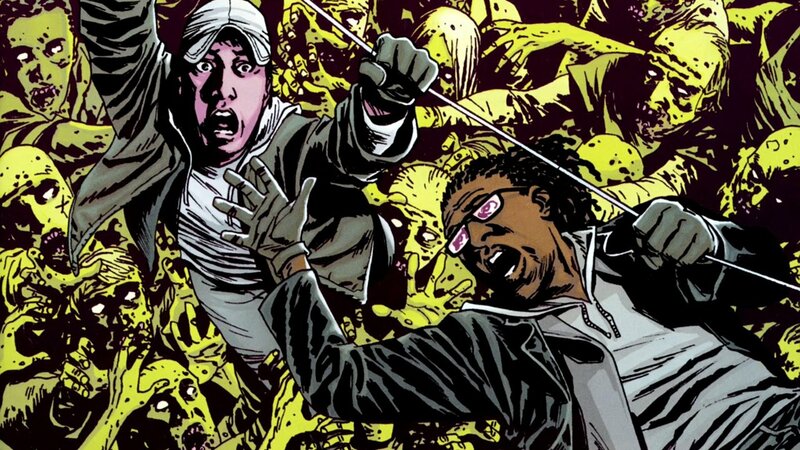 Each page or two a dialogue in The Walking Dead 81 allocated to a specific character; the next for another character.